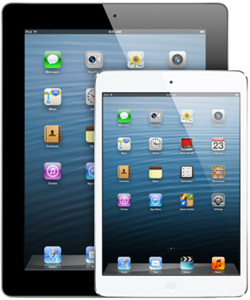 According to a study by market research firm IDC, Android based tablets, iPads and other tablet PCs will outsell laptops in the year 2013, and by the end of 2015 they will be outselling both laptops and desktop PCs combined. Why? Well, first of all, the amazing success of the Internet has led to the decline of the traditional PC in the marketplace. The web now allows many tasks that used to only be possible using software running on a “real computer” to be completed in the “cloud”, making the need for a fully equipped PC obsolete for the average user. Microsoft has announced that Windows 8.1 (AKA Windows Blue) will be released as a free upgrade to Windows 8 some time before the Christmas season gets into full swing. I thought all along that it should be free since charging for it would be like “selling” a repair for a brand new recalled vehicle. Of course Windows 8.1 won’t be free to those purchasing new PCs or wanting to upgrade from Windows 7 or earlier, but Windows 8 users will rightly be able to get it without having to pay for it. The mind-boggling changes introduced with Windows 8 have led to mass confusion and frustration among long-time Windows users, as well as the largest year-to-year decline in new PC sales ever. In my opinion, Microsoft had no choice except to take quick action to stop the migration of Windows users to Macs, Linux boxes and tablet devices. Back in January I wrote a post about how Microsoft was beginning the gradual transition of Office from a suite of desktop applications to a suite of cloud based apps. Now Adobe has announced that they plan to end the development of new features for the popular Adobe Creative Suite desktop software package altogether and transition as many Adobe software users as possible to the cloud as well. 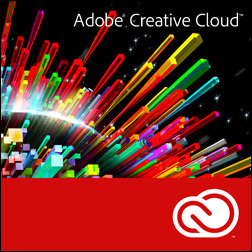 The new cloud-based bundle of Adobe software will be aptly named Adobe Creative Cloud. Beginning with the launch of Adobe Creative Cloud on June 17, Adobe Creative Suite will no longer be updated. You’ll have to subscribe to the Cloud version in order to continue upgrading to the latest and greatest Adobe products when they become available. All the bundled apps in the Adobe Cloud suite will bear the CC moniker instead of the now familiar CS. In 2012 more text messages were sent via free texting apps on smart phones than by traditional SMS Text Messaging services, and the number of free texts vs. paid texts is growing at a fast rate. This is a great thing for consumers, but the cell carriers are taking a major financial hit because of it. 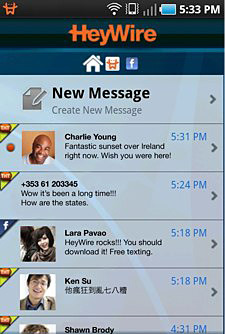 SMS text messages have always been a major source of easy profit for the carrier. They cost virtually nothing to transmit but bring in boatloads of cash. LivingSocial has been hacked – Change your passwords! The popular “Daily Deals” site LivingSocial.com has announced that their site has been hacked and the personal information belonging to over 50 million users has been compromised. If you have an account with LivingSocial you need to change your password immediately (click here for tips on selecting one that’s tough to crack, but easy to remember). You should also begin monitoring your credit report and financial statements for irregularities.